Digital E-reader business looks to add one more to its competition. 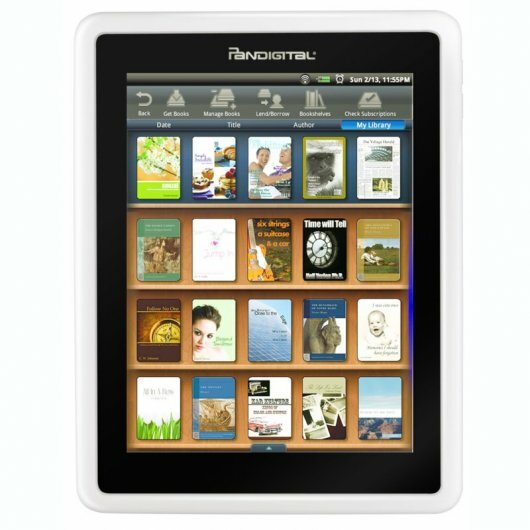 Digital photo frame manufacturer Pandigital has launched a 7-inch full color e-reader called the Novel. The Android-based reader is loaded with a gigabyte of internal memory and runs on a powerful ARM mobile processor. 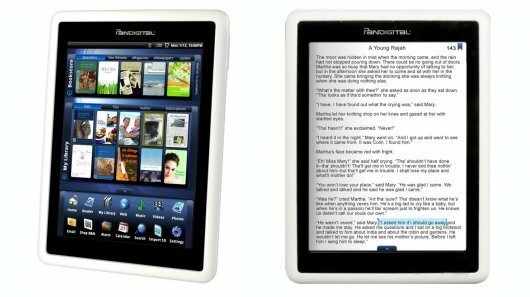 With multi-touch screen the Novel has two reading modes. Pandigital also partnered with Barnes & Noble which would help its users have access to over a million titles and book lending – LendMe technology. The device itself is pretty impressive. Its 7-inch 800 x 600 color multimedia LCD screen boasts of edge-to-edge glass with orientation support, an SD/MMC card slot and a mini-USB 2.0 port. It is also equipped with WiFi for wireless connectivity. This is another series of slate’s that will run Android 2.0 which lets it have an online dictionary and features such as adjustable font, a web browser and an email application apart from multimedia players, alarm clock and the Novel can also be used as a photo viewer too. It also supports most of the common formats including ePub, PDF, HTML, MP3, AAC, JPEG, PNG and MPEG4 video with a battery life of around six hours. This is truly a comparable device to the Apple iPad. Though its onboard disk space is 1GB, the multiple features it has and that it supports make it a great alternative. The Novel will be available in early June for $199.99 which is way less that what an iPad costs making it a perfect alternative for the iPad. Ah, but the question is, does it support Flash player?